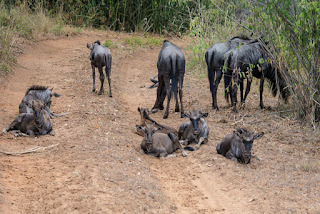 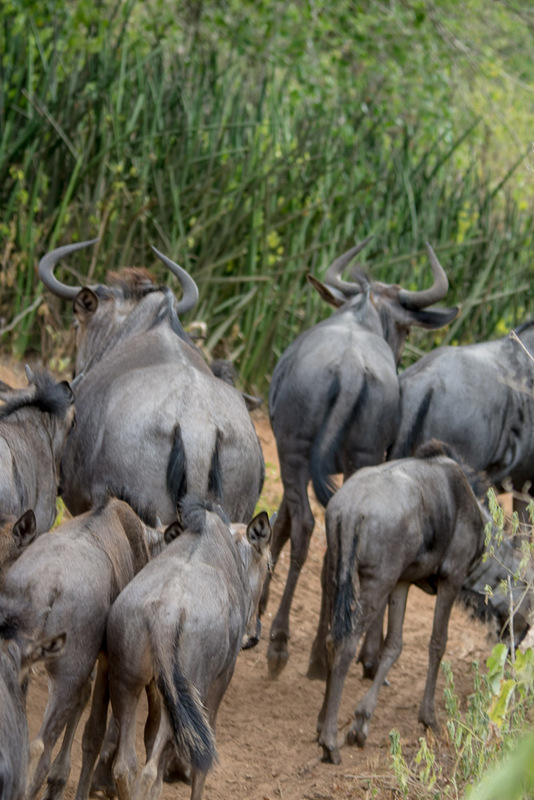 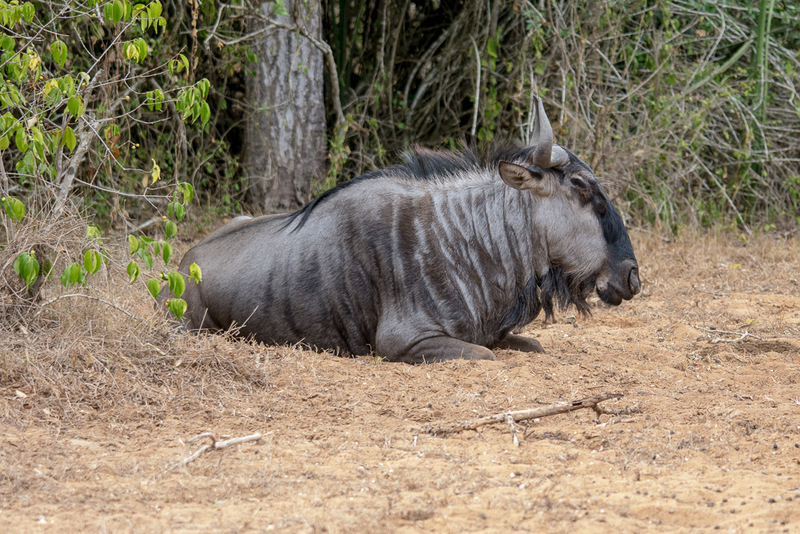 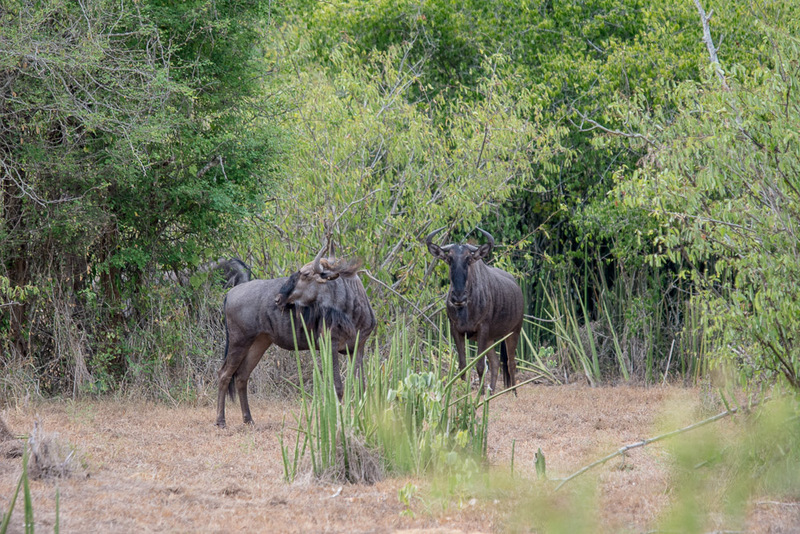 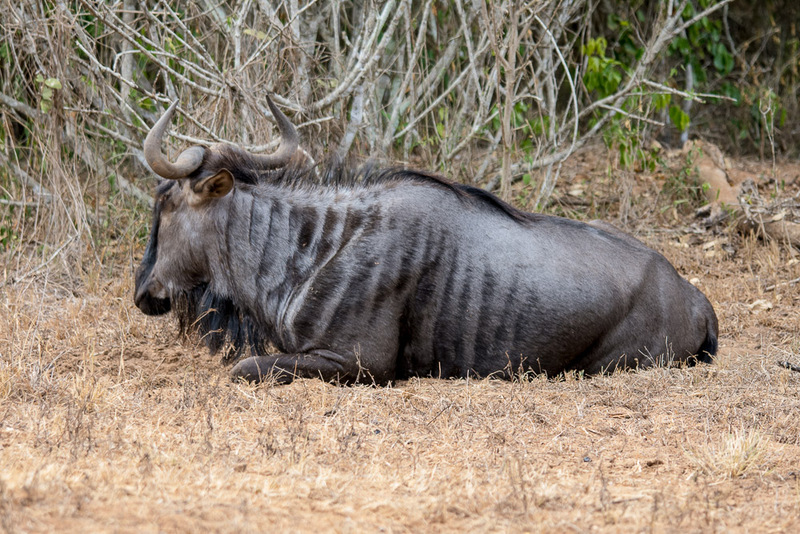 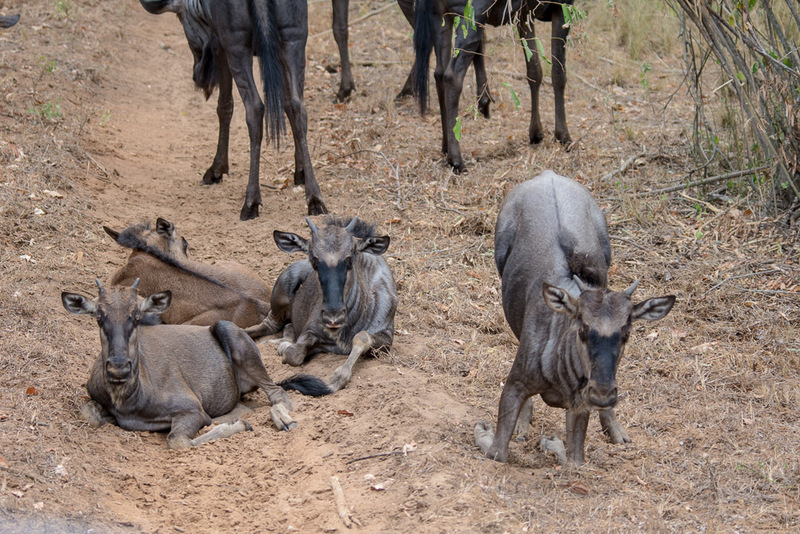 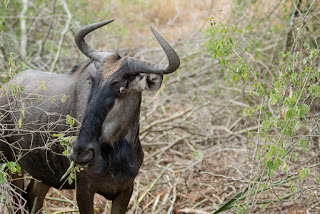 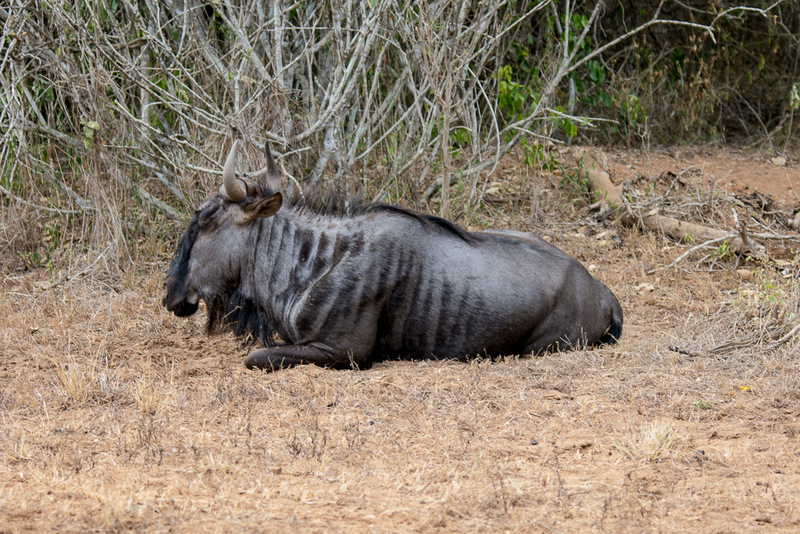 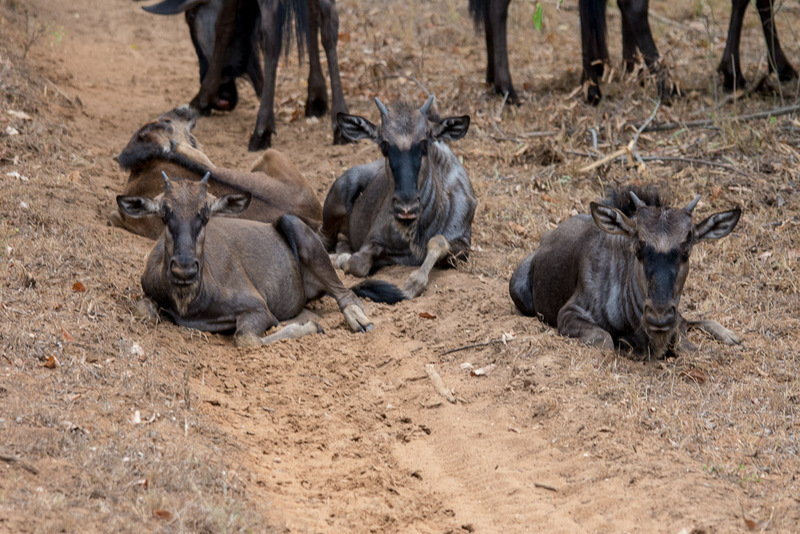 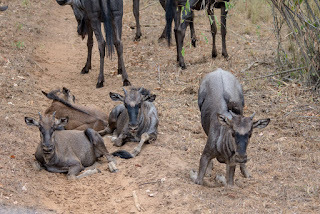 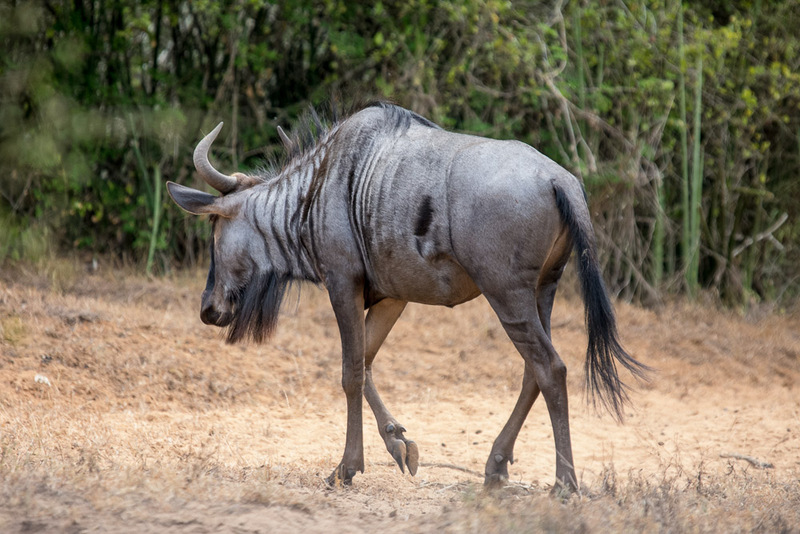 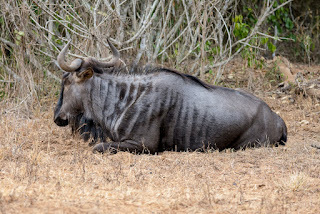 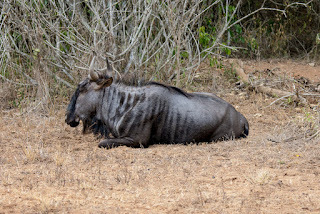 We turned a corner on the dirt trach and found a scattering of wildebeest across the road. 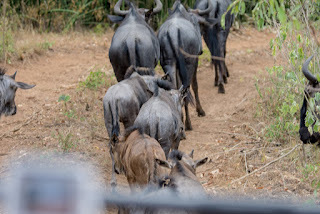 This was the single largest grouping of animals we saw at the park. They did -not- want to move.